PAMIR combines Layout, Engineering, Output and 3D tools into a single fully integrated application. 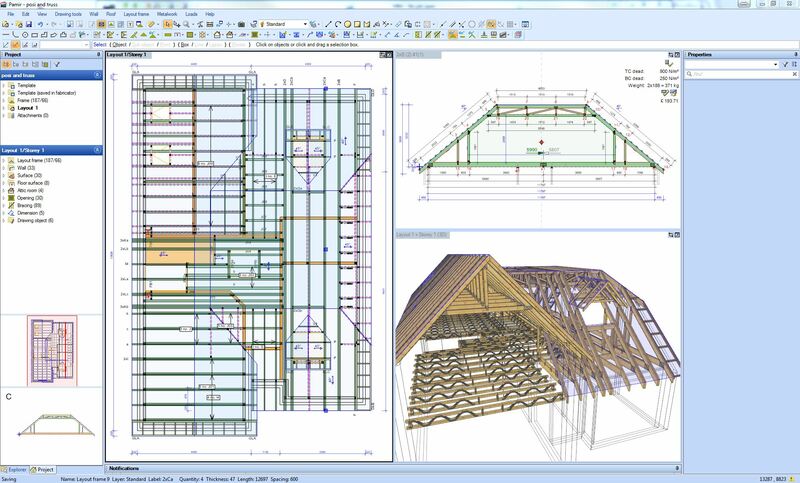 PAMIR is MiTek’s industry leading Roof Truss and Posi-Joist design software. Developed by our European software development team, PAMIR is a powerful and versatile fully integrated CAD, layout and engineering package, with full EC5 engineering to the very latest design codes. PAMIR is only used by licensed MiTek Roof Truss and Posi-Joist manufacturers. PAMIR combines Layout, Engineering, Output and 3D tools into a single fully integrated application, replacing what were traditionally separate programmes with one. Learning the software is more straightforward as there is one toolset to learn, and the integration of the different areas allows for huge accuracy in design as a user can clearly see how different elements of a design are interacting.